You are looking northwest at a monument near Summit Avenue and Mississippi River Boulevard. You are in Shadow Falls Park in St.Paul. Minneapolis is across the river. The bridge in the background is Lake Street. 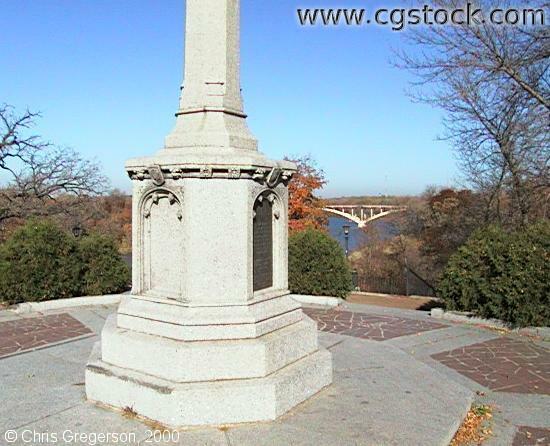 There is a scenic overlook beyond this monument with an excellent view of the river.